The Viacom network (VIA) jumps off the success of documentary series like True Life, which has become a marquee show for the network. Now that they’re taking on job hunts, the show could become a how-to guide (or depressing reality check) for fresh young graduates trying to find employment in a dismal market. 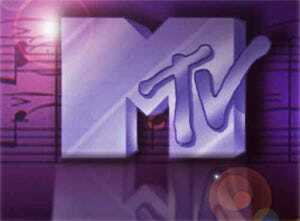 NEW YORK, NY/SANTA MONICA, CA – (March 16, 2010) – MTV today announced that it has greenlit new docu-series “MTV Hired” which will premiere on Monday, May 6. The show goes on a journey with recent college graduates as they pursue the daunting task of finding employment in todays difficult economic climate. Viewers will get an inside look at what the applicants face as they vie for their dream position in the industry of their choice. Also announced is the return of “Silent Library” for its third season with 20 new episodes. Credits: Jessica Chesler, Sam Simmons, Noah Scheinmann, Matt Westmore, Marshall Eisen and Dave Sirulnick will all serve as executive producers. Jonathan Mussman is executive in charge of production for MTV.